And I'm nominating the following French themed blogs for being fabulous too. Visit them for great French decorating/fashion/cooking/lifestyle tips or wine tasting info. 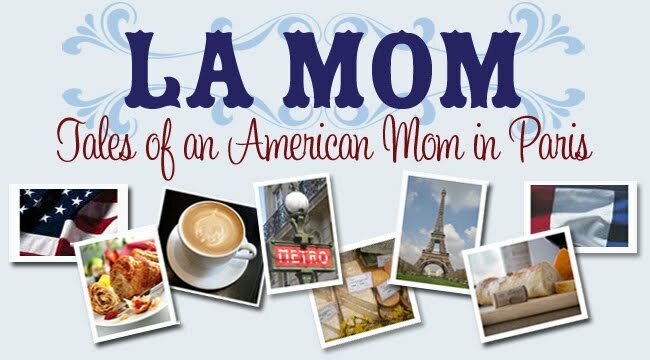 So thanks to The Rambling Diva for awarding the La Mom blog The Lemonade Award for blogs that show great attitude/gratitude! Under The Influence - I love Kim's take no prisoners writing style and I've learned alot about the world of bare skin...oiled and ready...to be...massaged. - There is something about Kristi's blog that I find very touching. Perhaps it's her devotion to her baby and the way she expresses herself. 1. Thank the person who gave you this award by linking their blog to this post. 2. Put the logo on your blog. 5. Comment them to tell them about the award they've won. Honesty is the best policy right? 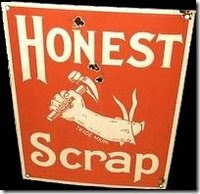 Kim @ Under The Influence thinks so and has awarded La Mom with the Honest Scrap award. Merci! 1. I'm not as bitchy as I can sound on my blog. Sometimes the keyboard has a life of its own. 2. I was pulled over by the police for speeding and I played stupid American. I pretended that I didn't speak French, had no idea what I did wrong, and just kept smiling at the gendarmes. It worked and I got off. 3. I would love to speak Italian, Spanish, and German. 4. I have a mad crush on Dr. Hot at the American Hospital in Paris. Have you noticed? 6. I love to clean, but I pay someone to do it for me anyway. 7. When visiting the US I'm always looking over my shoulder because I'm so freaked out I'll be a crime victim one day. My little Paris 75016 bubble feels so safe. 8. I love Daddy Sarkozy and think he'll go down as a great President of France. 9. I love following European Soccer and have a mad crush on Christophe Dugary and Bixente Lizarazu from France. David Beckham and his golden balls just don't do it for me. 10. I love Ladurée's pain au chocolat with almonds and pistachio. Sometimes Lucid Love Julia's funny stories and style. Thanks for all of these awards. La Mom should be sent to the naughty corner for taking so long to acknowledge these and pass on the love. Another grand merci goes to Mommy In Pink for an award she gave me back in November. Merci La Mom!!! I appreciate this award and wish you a fabulous day in the city of light! Thanks, La Mom. I'll check out some of those French blogs - as long as they are writing in English. My French is pretty pathetic. First let me say congratulations on all these well deserved awards. And, Merci!!! Thank you for this lovely award. So lovely to be honoured like this and to have the opportunities to discover new blogs I have yet to discover. Thanks again! I didn't know you could give out awards on blogs, but those who read my blog know that I love to receive. Merci beacoup. I appreciate this kind attention! Wow, congrats on all of your awards. And I don't think you sound bitchy...just honest and honesty is good right!?! Thank you so much for the award and congratulations for receiving it. I've added you to my blog roll. Now I'm off to check all the blogs you mentioned. Oui, La Mom...you are totally fabu! Ha. A link to this post came to me through my Lizarazu google alert. I'm one of the writers of the blog on the France NT over at World Cup Blog, and I understand your obsession, at least with Lizarazu. (Dugarry not so much. Zidane, though? Absolutely. My husband and kids find all of this humorous.) I do post Liza photos and videos whenever they come my way, so be sure to stop by! Thanks La Mom! I feel so honored to be in the presence of such great blogs! Merci! I just have to tell you that I love every word you post! Thaks again! I can't wait to steal a Baby free moment to post it on my blog! congrats on all your awards, and thank you for passing one on to me! Thanks so much for the award. I love your blog and J'adore Paris! Thanks a lot :) J'apprécie beaucoup et prend le relais. I'm so excited to be included in this award!!! Huge Merci and I can't wait to check out the other bloggers!!! !